Angels leather backpack it is a part of our Angels collection. 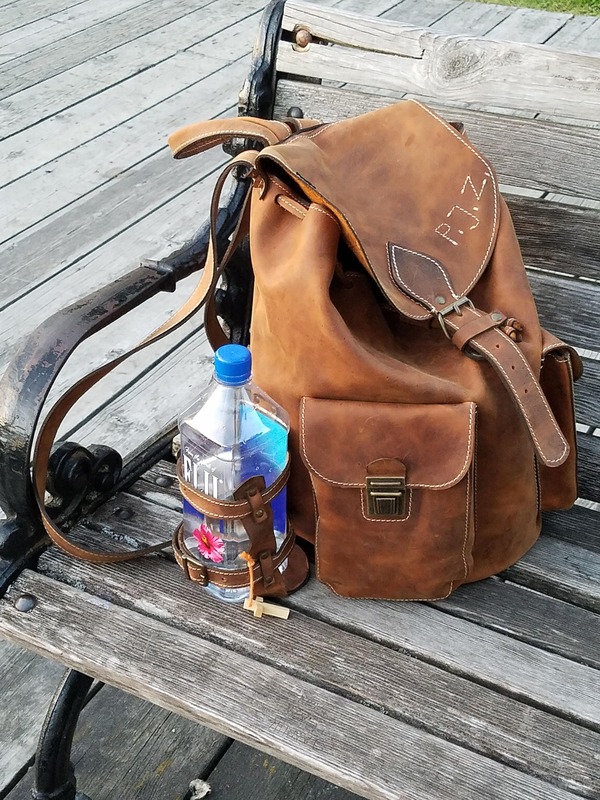 This is a life time guarantee backpack, made of a very resistant distressed brown genuine leather, accessorized with rezistant metal hardware, with a vintage bronzed distressed aspect, black or brown rezistant cotton interrior, two big 3D pokets in exterrior. For any questions, please feel free to write us. We will supply you more pictures. If you have any other question, will be my pleasure to answer!